For some, it’s hard being a 10mm shooter. 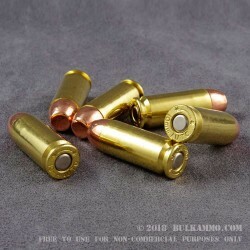 Sure you get all that power and premium performance from a round that is easily carried and offers significant performance from a handgun. But it’s expensive to shoot and the rounds you can usually shoot with, are all performance oriented. It’s nice to have a producer like MBI making new ammunition that can be affordable, easier on the recoil and still function heavy, overbuilt guns without modifications. 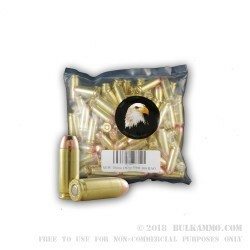 This MBI (Military Ballistics Industries) has for several years, provided high end remanufactured ammunition and has recently got into the new ammunition game. 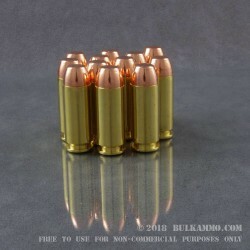 The 10mm will obviously be well received by those who are always looking for inexpensive cases, but also by those who want another alternative to expensive options already on the market. This is a 100 round sealed plastic bag package, a sort of trademark of the MBI company, as it is a further cost cutting measure that does not affect the performance of the load and does not affect the aesthetics by much. MBI is a very forward-thinking company, and therefore deserve all the praise that has been heaped upon them from the general shooting public (admittedly mostly for their history of producing top quality, reliable remanufactured mainstream ammunition).